Next round Summer 2019. Date TBA. Sign up for the our mailing list for announcements. Pup strikes a pose. You help animals in need. 100% of the session fee + 15% of Product Package sales will be donated. For more information about the event, see the Q+A below. What are the Mini-Studio Sessions? Animal photographer, Hannele Lahti, began the Mini-Studio Sessions in 2016 with the mission to give back to the region’s rescue community by creating quirky studio portraits for pet owners. 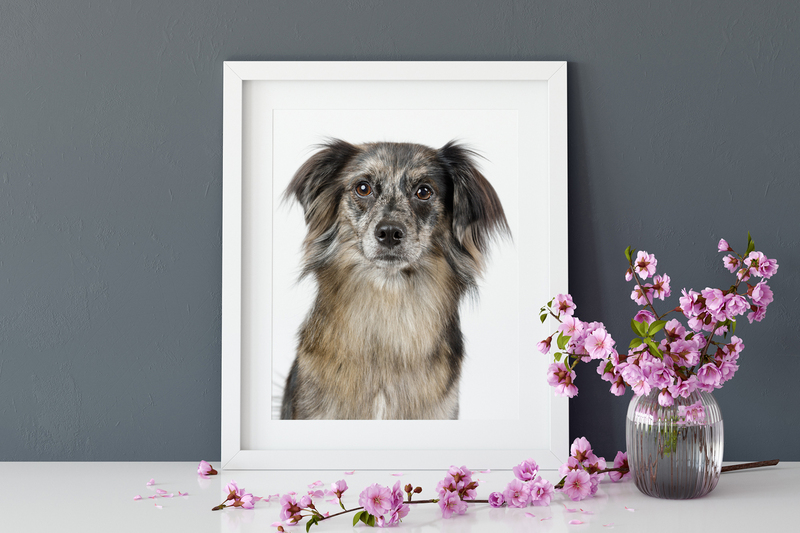 By keeping the idea simple—15 minute photo shoots on a white background in a pop-up studio space—Hannele has photographed 150+ pets and raised over $5500 for homeless animals. This is one of the few times a year Hannele offers commissioned portraits in a flashy studio setting. The next event will be in the Summer of 2019 at The LINE Hotel DC. View the gallery of past participants. PLEASE NOTE: Most dogs enjoy the experience due to the copious amount of treats + attention. However, if your dog is sensitive to things like thunderstorms, this may not be the event for them due to our flash lighting system. Instead, you may want to consider a natural-light documentary session. To learn more about those laid-back photo shoots, visit our commission page. Next round Summer 2019. Date TBA. Sign up for the our mailing list for announcements. How many pets may I bring? One per session fee, please. If you’d like to photograph multiple animals please book two sessions. *Limit two sessions per person. Does anything come with my session fee? Your $50 session fee covers a 15 minute time slot and 4-6 web-sized, watermarked proof images for online sharing only. There are 3 Product Packages available for those interested, details below. The session fee is non-refundable. 100% of the fee will be donated to our rescue partners. What products to you offer? There are 3 specially priced package options available. Product Packages can be pre-ordered when you book your session or ordered through the proofing gallery after the event. Samples will be on display at check-in. 15% of sales from the product packages will also be donated! 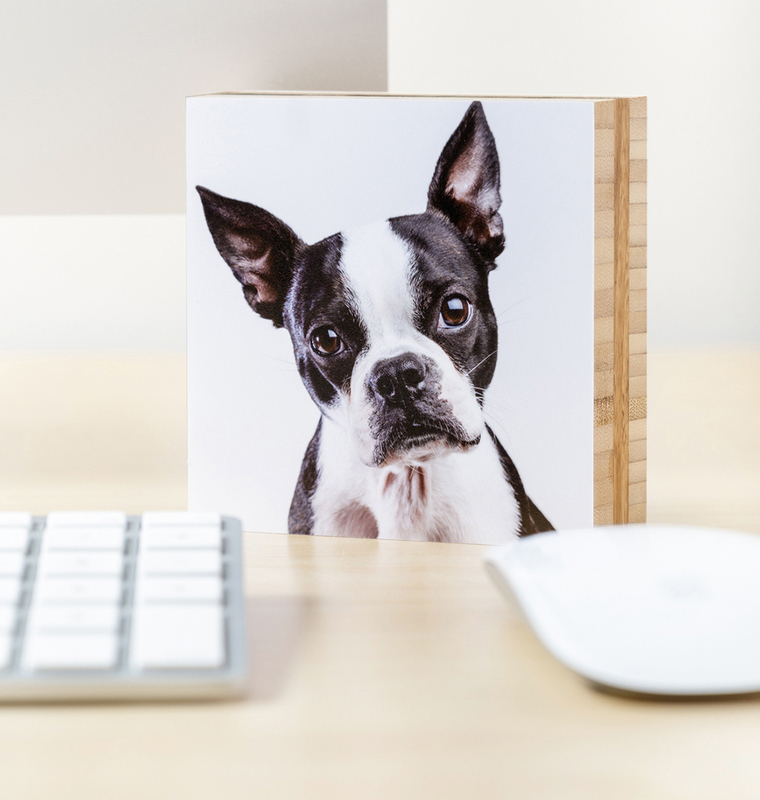 A 4x4 bamboo desk block and 2 high-resolution digital files with print release. One framed 8x12 print* and 3 high-resolution digital files with print release. One framed 16x24 print* and the full set of high-resolution digital files with print release. * Frames are made with an acid-free white mat and your choice of hardwood moulding: white, black, natural walnut, medium walnut, dark walnut. You may choose to have your print mounted to an eco-friendly bamboo panel instead of traditional framing for a modern, borderless finish. High-resolution files may be printed to a maximum size of 10x15 inches and are for personal display use only. Is this event only for dogs? What about my cat? Both cats and dogs are welcome! Where is the event, when should I arrive and what should I bring? 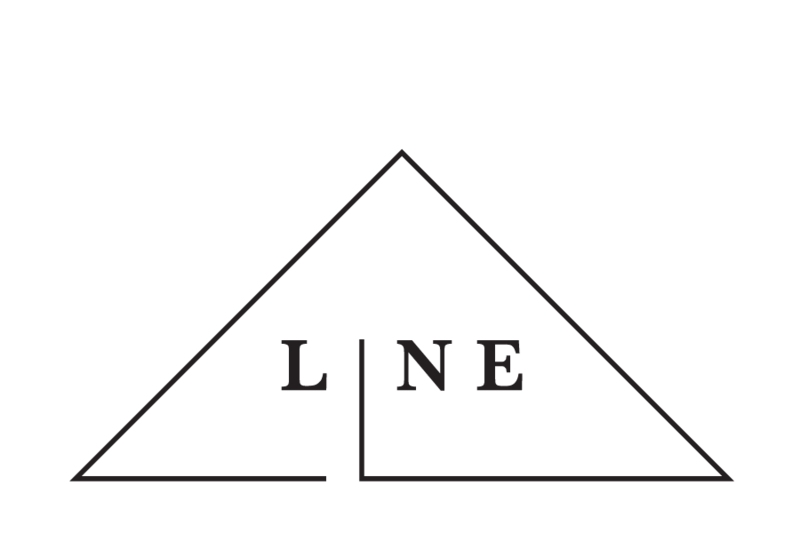 This year the Mini-Studio Sessions will take place at The LINE Hotel DC in Adams Morgan. (1770 Euclid St, NW Washington, DC 20009). The LINE Hotel DC has generously donated space for us and their staff is eagerly awaiting the arrival of you and your pet! Be sure to thank them + tag them in your BTS posts! On the day of the event, plan to arrive early in order to sign our photo + liability releases and view our product samples. Due to the nature of this event, we will not be able to accommodate late arrivals! Please bring anything your pet may need to stay calm and focused. They must be on a leash or confined to a carrier while checking in. We will have a wide selection of all-natural treats and toys. Feel free to bring any bow ties, bandanas or small props. 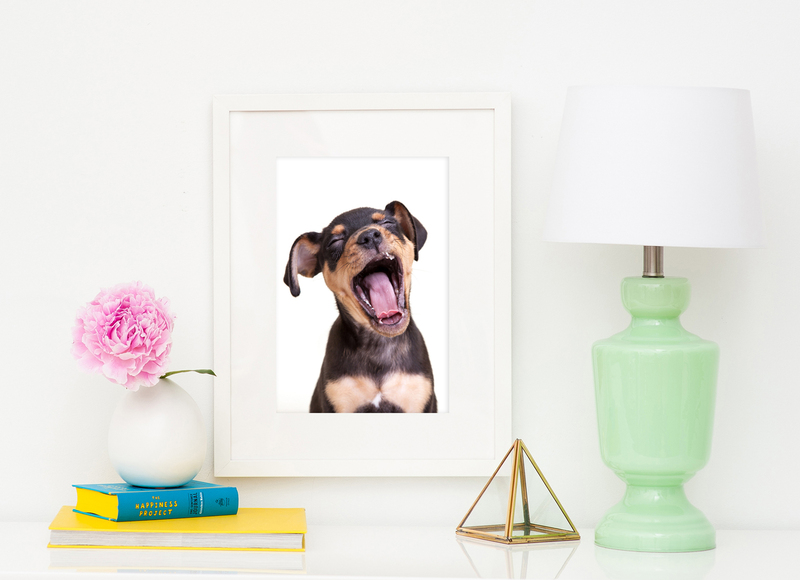 How can I prepare my pet for the shoot? Dogs: Teaching and practicing sit and stay commands with your dog may be the most beneficial thing you can do to prepare them for the photo shoot. It is also a good idea to exercise your pup thoroughly beforehand so they are not at their peak energy level during the shoot. If your dog needs grooming, I recommend doing that during the week leading up to the event. A good bath the night before works well too. Cats: As a cat owner, you probably know full well that cats do as cats do. I'll do my best to capture their attention with toys and possibly a little catnip. :) Grooming them the night before and bringing along a brush and a favorite toy or treat would be advisable. Can I be in the room for the shoot? Absolutely. You can even help out. Your dog or cat knows you best so we’ll work with you to help keep them on set, grab their attention and make sure they stay safe. Can I be in the photo? Due to time constraints of this event, we will be focused on capturing the best possible portrait of them. Once we get that, you are more than welcome to hop in for a shot or two. What if my pet misbehaves during the event? We will make every effort to make your pet feel safe and at ease during the photo shoot. However, some pets are simply not comfortable in this active, flashy setting. If I feel your pet is unduly stressed by the environment it may be necessary to end the session early. If your pet becomes a danger to himself or others during the photo shoot, it will be my discretion to end their session. The safety of you, your pet and my staff is of upmost importance. When and where will I see the results? We will provide a link to an online gallery to view the photos within two weeks. From this gallery, you will be able to pick favorites, share watermarked photos on the web and order one of our product packages. Expect between 4-6 proofs to choose from. If you pre-ordered a package option, all you have to do is email us the image(s) you’d like for your product(s). Once I place my product order, how long will it take to receive it? What if I can’t make it to my session? Unfortunately, we won’t be able to reschedule your session since this is a one-day only event. However, you are welcome to transfer your time slot to a friend, please just let us know. The session fee ($50) is non-refundable. If you selected a package option we are happy to refund the full amount as long as you cancel within 2 days of the event. After that time period, we can apply the package amount to one of our other services - full photography session, photo mentoring or gift certificates. What if the event is canceled? You may apply the amount paid to a donation to our rescue partners or another service we offer - a full photo session, gift certificates or photo mentoring. Yes! If you are interested in helping with set-up or take-down, assisting in the photo studio or checking people in, please contact me at hannele@adogphotographer.com. Thanks for your interest! 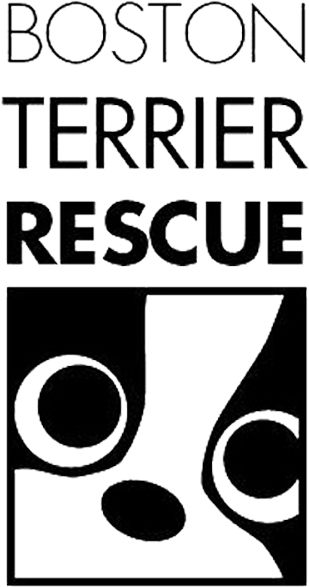 Which rescues do you support and how can I learn more? 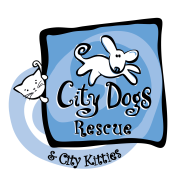 City Dogs Rescue + City Kitties rescues adoptable dogs and cats in overcrowded and high-kill shelters, where resources are severely limited. They offer a lifeline to as many of these wonderful animals as possible. By finding these animals permanent and loving homes in the DC metropolitan area, they enrich lives of humans and their pets. City Dogs Rescue is a 501(c)(3) non-profit organization that is made up of a dedicated network of volunteers. 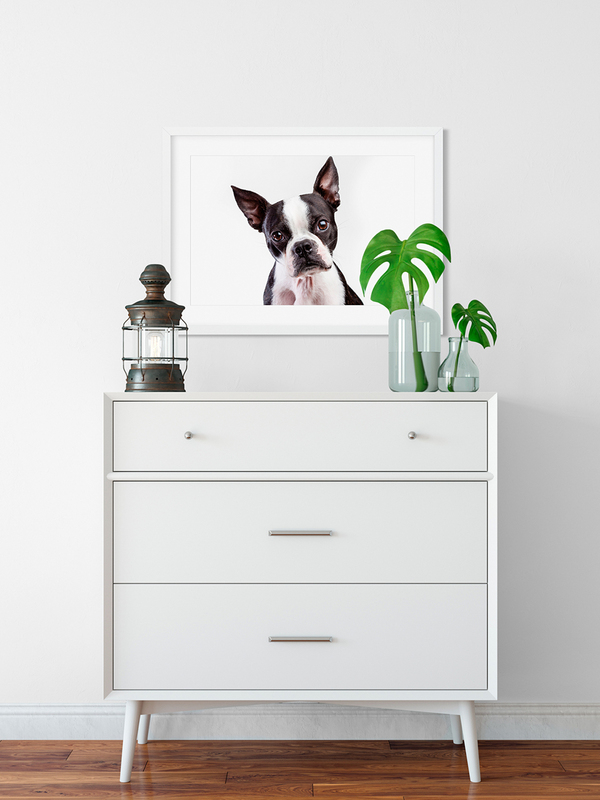 The Boston Terrier Rescue, where Hannele adopted her dogs from, is a breed-based rescue serving the entire southeast through sister chapters in 9 states. For the past 20 years they have rescued, rehabilitated and re-homed Boston terriers through a network of dedicated volunteers and donations. For the pups not able to be re-homed, they set up permanent foster parents and cover all of the dog's needs until they leave this world because every dog deserves a home and a family. They are also a 501(c)(3) non-profit organization. ©Hannele Lahti 2019, All rights reserved. All content on this website is registered with the U.S. copyright office and cannot be used any way without written permission from Hannele Lahti.